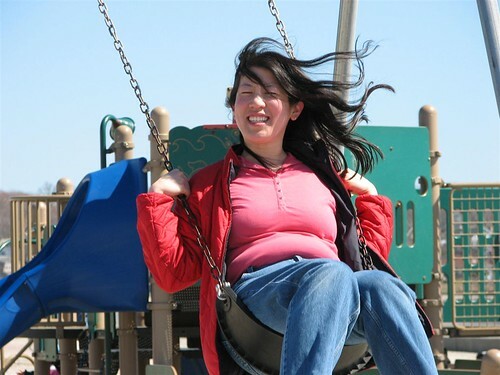 My hair is always flying in the slightest breeze, as shown on the swing here. 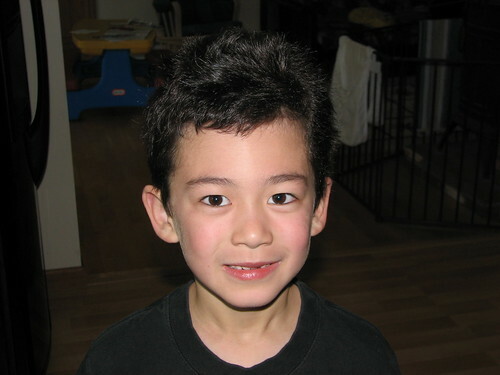 Adam always wakes up with the worst bed head and he refuses to brush it. I have better things to do in the morning than to chase him around with a brush. He got the best of both Doug's and my hair, slightly curly and extra thick. 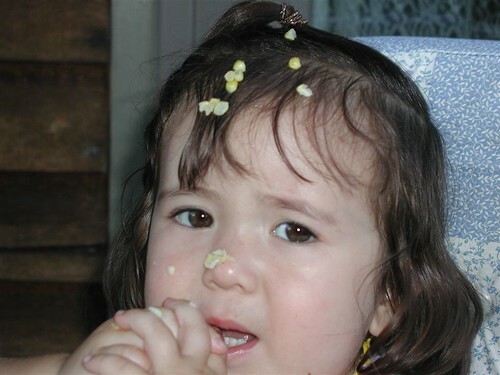 This should more aptly be named "bad corn in the hair" from when Dova was a toddler. 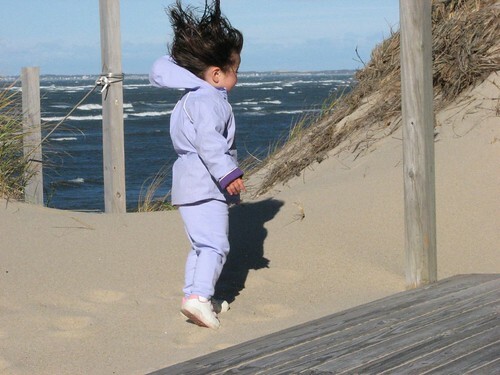 Here's Dova on an extremely windy day on Cape Cod. If you noticed that Doug doesn't appear with bad hair, it is because his hair is always perfect. We were once up at the top of the Empire State building and the picture of my hair looked like above, and his hair was still picture perfect. Maddening!